Discovering a good quality furniture is just like choosing a best hairstyle. While the choice depends mainly on personal aesthetics, there are definitely one or two furniture styles that will best suit the situation at hand. The list of furniture material is long and due to this, many people make impractical furniture choices because they find it rare, expensive or difficult to use or maintain. • Look for table and chairs that are of appropriate size for your dining area. Large dining tables and chairs set that fills a spacious room might look awkward in a smaller dining area. It might suffocate the people with no space left to move around. Small dining chairs of good height with dining tables of round or square shape might save space in your small dining room. Whether big or small, these dining sets are easily available at Furniture in Fashion stores at an affordable prices. • Choosing the material of dining chair and table is essential in maintaining a good quality of your room furniture. The material should be durable while complementing the room décor theme of your dining area. In addition to this, the dining table should also compliment with dining chairs for that perfect interior look. For example, funky vinyl padded chairs are well suited for a glass table top modern dining table. Common materials used in dining tables are glass, marbles, wood, metal etc. and dining chairs can be made up of wood, metal, steel, vinyl and plastic. • When you have decided on getting hands on wooden dining table set, you should take some time to pick on the wood type that suits your needs perfectly. You can choose among numerous shades of wooden furniture like oak, maple, cherry or mahogany finish. For country style dining room, it is best to choose normal wooden shades of traditional furniture settings. • Don't forget to coordinate your dining set with your other furniture items in dining room. If you have expensive dining products, you should try getting equal quality of dining table and chairs. If the décor is traditional or classical, consider carvers, oak wooden chairs or regency-style dining chairs. 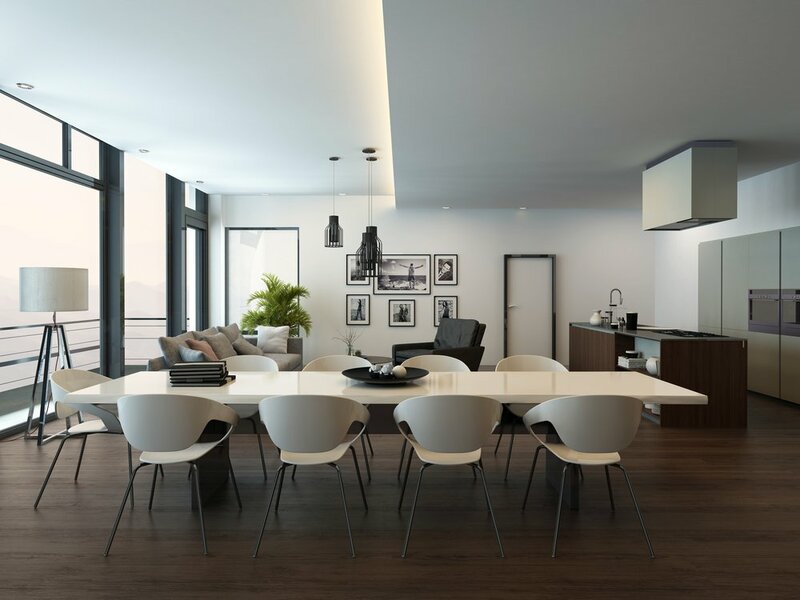 If you chose to establish a modern setting in your dining room, you can easily purchase contemporary dining set from furniture stores like Furniture in Fashion. • You should keep in mind the function of chairs and tables before deciding on their quality. If you want to use chairs for other purpose, you can go for light quality stackable dining chairs with small dining tables. If you want to keep your dining set intact and immobile for long time, you can opt for glass or marble dining furniture sets.